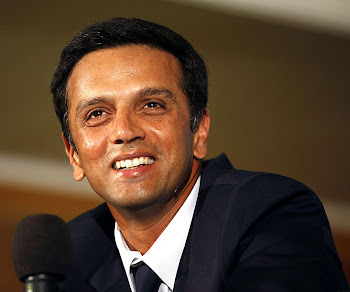 Rahul Dravid scored 29th test hundred to level Sir Don Bradman for the number of centuries. Rahul Dravid had to retire hurt (on 111*) after he got a blow on his ear guard by a rising delievery from Shahadat Hussain. Rahul and Sachin built up the record 17th 100+ partnership (222 to be specific) leaving behind the aussie pair Ponting and Hayden. Congrats "The Wall" and "the Master"! Congrats Rahul. May you go on to get 35 centuries in your test career.